WHAT a year it has been for Zimbabwean sportsmen and women as they searched for international glory in different countries across the planet and reported back home with a mixed bag. Our sister paper Sunday Mail Sports Editor GOODWILL ZUNIDZA makes an alphabetical reflection. A – is for Axcil Jefferies, Zimbabwe’s fastest driver who has continued to power to some impressive results on international tarmacs. At only 19, the teenage motor racing sensation is close to a historic berth in the world-famous Formula 1 series, being one of the best five performers in the FIA Championship, or Formula 2, already a first for the country. B – is for Black, Zimbabwe’s most famous sporting family still ably represented at the highest international level by daughter Cara, winner of the country’s highest sporting accolade for the second year running and fourth time overall. The 34-year-old mother is back at practice in New Zealand, sweating to extend her incredible career haul of 10 Grand Slam trophies. C – is for Chan, a spectacle of the best African-based footballers in which Zimbabwe will be making a third straight appearance thus taking on Morocco, Burkina Faso and Uganda in Group B of the first round matches to be staged in Cape Town. With full coverage on Supersport and, most definitely, on ZTV, the entire nation will be tuned in for the whole tournament hoping and praying their beloved Warriors last the distance. D – is for Dynamos “DeMbare”, the most dominant force on the local football scene who won a third Castle Lager Premier Soccer League title on the bounce, made Kalisto Pasuwa the first coach since independence to clinch three back-to-back league titles and, with Tawanda Muparati, provided a Soccer Star of the Year for the third year running. E – is for Eric Rosen, who bid farewell to top-flight football after a 14-year flirtation with his pet project Motor Action that even won the 2010 Premiership title and produced two Soccer Star of the Year winners in Clemence Matawu (2006) and Charles Sibanda (2010). As a big man, Rosen would never sink alone and thus plunged fellow former champions Monomotapa plus police side Black Mambas, leaving the capital city with only three of the 16 Premiership clubs. F – is for the ITF Futures circuit, where Zimbabwe’s Number 1 tennis player Takanyi Garanganga is setting new benchmarks. The powerful-serving US-based player hit 342 on the Association of Tennis Professionals (ATP) rankings in July, the furthest yet for any black Zimbabwean player, with his current 376 still eclipsing Genius Chidzikwe’s previous highest mark of 389 set in 2004. Garanganga helped himself to two tournament victories in Turkey this year and twice reached the semi-final stage in other Futures events in Senegal and New York. G – is Ian “Dibango” Gorowa, the Zimbabwe senior national football team coach, who has brought back the smile on local football fans with an unbeaten stint in his first nine outings that included two unexpected victories over rivals South Africa and old enemies Zambia. Gorowa will create history if he steers the boys past the group stages of a continental tournament for the first time in the forthcoming Chan finals in South Africa. H – is for Victor Hungwe, the first Zimbabwean-born bodybuilder to win a world title albeit in controversial circumstances. The muscular champion faces censure from the country’s sports governing body, the Sports Commission, after contesting and winning at the World Physique Federation championships in Italy earlier this month apparently under the South African banner. Hungwe is a former winner of the Musclemania Zimbabwe at Ochi City, holder of the Mr Pro-Fitness title, was the first Zimbabwean to win the Shameem Classic bodybuilding contest in Cape Town, and is a top contender for the Mr Iron Man and Mr Zimbabwe titles. The outcome of his current predicament will form one of the most interesting debates of the New Year. 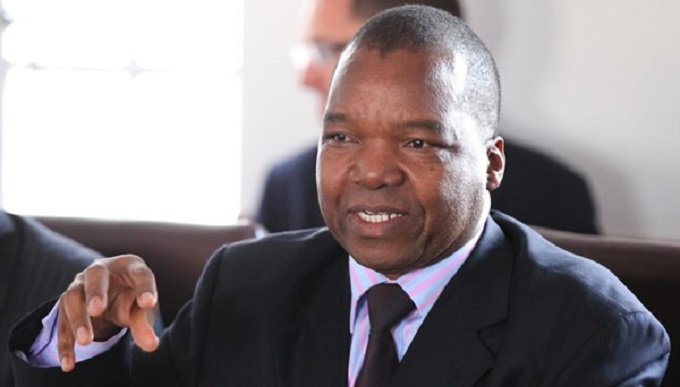 I – is for Insiza, the rural Matabeleland constituency that groomed Zimbabwe’s first minister of the stand-alone Sport, Arts and Culture, Andrew Langa. 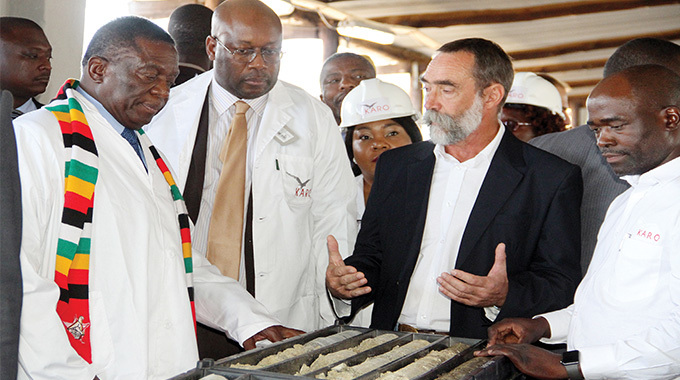 A provincial party leader, Langa began his tenure by bagging top honours in his own field, lifting for Matabeleland South the Zanu-PF trophy for the best performing province in the 2013 watershed elections. The minister’s affable character has further won him the warmth of the entire sporting fraternity that views him as a perceptive politician, who understands the myriad of challenges facing sport and is willing to do the best he can in allocating the $10.4 million resources proposed for his ministry in the national budget. J – is for Joe Rugwete, the astute president of the Zimbabwe Karate Union. A qualified international referee, Sensei Rugwete made a rapid ascendancy from chief umpire at the 10th All-Africa Games in Maputo to become head of the ZKU and secretary-general of the Zone 6 Karate Confederation. In no time, Zimbabwe’s karate has begun making huge strides in talent development through a series of national tournaments and gathering medals like wild fruit on its return to the international scene. K – is for Kirsty Coventry, Zimbabwe’s finest ever performing athlete who has earned more Olympic medals than any other athlete in all of Africa and broken seven world records along the way now gunning for the Rio 2016 Olympics. Kirsty this year undertook her first official nationwide tour of Zimbabwe, reaching out to schools in the rural areas of the country motivating children to follow in her footsteps and bringing her closer to the masses who might never have found the chance to see her in person. L – is for Leslie Gwindi, the motormouth chairman of Harare City FC who has publicly bemoaned the prevailing financial situation in local football and raised the ire of authorities who have slapped him with disciplinary charges. Gwindi though is unperturbed as he faces judgment day, which sets the stage for a volatile off-season in which the game must emerge richer at the end. Gwindi himself is no ordinary administrator, he led the Sunshine Boys to joint-first place on the Castle Lager Premier Soccer League table, but was pushed to third position by goal difference. M – is for Charles Manyuchi, the best pound for pound boxer in Zimbabwe today who not only claimed the African Boxing Union welterweight belt by knocking out Burkina Faso champion Patrice Sou Toke in June but successfully defended it by stopping Ghana’s Isaac Sowah in September. Masvingo-born though Zambian-based, Manyuchi looks set to maintain his upward march and inch closer to a dream duel with the world champion in his division, Floyd Mayweather. N – is for Njabulo “Tshiki” Ncube who regained both his silky touch and shooting range and powered Highlanders to Mbada Diamonds Cup glory and number two on the final standings. Bosso’s most favourite player, many had, however, ruled out the clownish marksman only to shudder as shrewd coach Kelvin “KK’’ Kaindu re-moulded his marksman and unleashed his full potential. O -is for Ozias Bvute who continues to be missed at Zimbabwe Cricket, whose management he led, is now grappling with its biggest financial and administrative crisis in nine years as players down their bats owing to an unresolved pay dispute that disrupted the 2013/2014 franchise season before it had barely started. Notwithstanding, Peter Chingoka, the game leader, continues to put on a brave face and is buoyed by rare Test victories recorded during the year over Pakistan and Bangladesh. 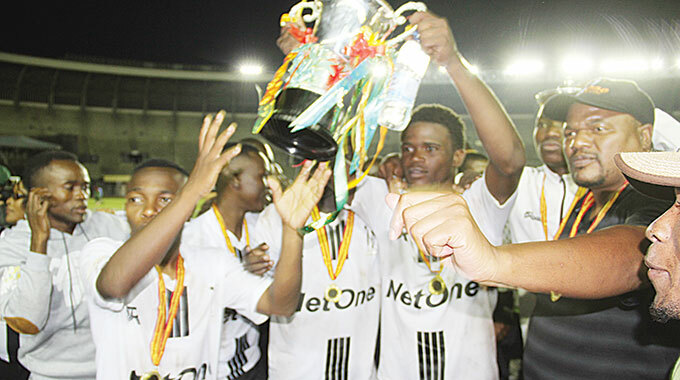 P – is for FC Platinum, the richest football team in the country whose strong title surge at the beginning of the season was severely checked when top Zambian mentor Tenant Chilumba packed his bags for Lusaka. But the later arrival of Lloyd Mutasa ensured they finished a creditable fourth position. The club’s swagger has had a contagious effect on the local game as general standards start to improve with player welfare now listed as a priority among most of the top-flight teams. R – is for Rachel Goromonzi, the athletically-built hockey star who stars for the All-American select team in the collegiate circuit and is the best attacker at Limestone College. Her success, if carefully harnessed, is likely to trigger a revival of the sport’s fortunes in Zimbabwe while her experience may prove handy for the national women’s hockey team as it bids to retain its lost Golden Girls status. S – is for Samson Muripo, Zimbabwe’s first world karate champion two years ago who continued to hog the limelight with some fine footwork at events in China and Bulgaria where he harvested a full collection of gold, silver and bronze medals. He is the reigning Sportsman of the Year. T – is for Micheen Thornycroft who is fast grabbing her share of attention among Zimbabwe’s elite sports persons. Hitherto unknown and her sport unloved, the newly-crowned African rowing champion is set on taking her magical oars to the world level after already achieving a quarter-final placing at the 2012 London Olympics. Rowing is also making strides on the local sporting ladder, presenting two nominees for the ANSA Junior Sportsman of the Year, Thornycroft for Sportswoman of the Year and Rachel Davis who was named Coach of the Year. U – is for Umbro, the kit our most endeared Warriors will be donning at the Chan explosion in South Africa. What a beautiful sight my eyes await to see. . .the technical bench clad in the same attire for once, elimination of wayward dressing by players especially of foreign replicas etc. And cheers to “Dibango’’ for his sportsmanship. V – is for volleyball another sporting discipline that is coming in from the cold yet emerging as a hot contender for national sport status. The Under-19 beach volleyball squad became the first black Zimbabwean team to qualify for a world championship and was emulated by their under-19 and under-23 contemporaries, though they were grounded by lack of funds. Another round of impressive results, and volleyball could turn into a mass sport. W – is for the Warriors. The whole nation is saying Go Warriors Go! You cannot afford to disappoint. Keep us at the edges of our seats as we urge you on in Mzanzi. We can hardly wait for your kick off. Score Warriors Score! X – is for Xolisani Gwesela, the new mouthpiece of Zifa who has so far fared poorly after being caught lying in public. 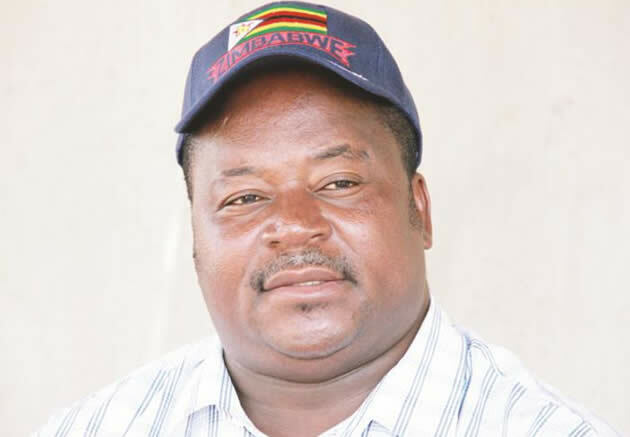 Denying the hunger that stalked the Warriors holiday camp, Gwesela created more sceptics of the association in one day than his chief executive Jonathan Mashingaidze has managed to create in the last four years. 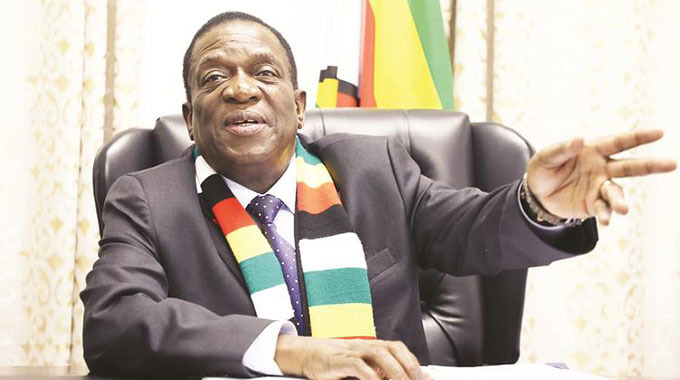 The mother body heads for crucial elections between January and March which are expected to usher in new faces in some posts who will have the responsibility of handling the game with maturity and dexterity. Y – is for the youth who have for long been neglected by their varied national sports associations. The Young Warriors, the Young Sables and the Young Chevrons have scarcely tasted international action for the last few years and experts believe the senior national sides are no longer inheriting well-groomed talent. 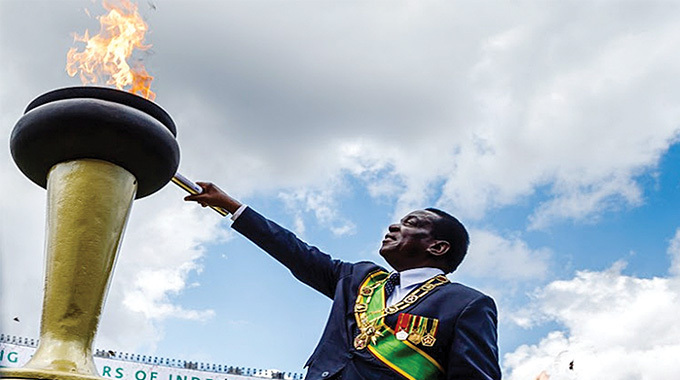 But next year’s historic Zone Six Youth Games in Bulawayo should change the mindset of sports administrators and set in motion the much vaunted Long-Term Athlete Development (LTAD) programme that is credited for grooming many of today’s world champions. Z – is for Hardlife Zvirekwi, Caps United’s most prized asset who raised the morale in Makepekepe after announcing his decision to return to the passionately supported side after he completes his national assignment with the Warriors at Chan. Zvirekwi’s ordeal at the major airport in Nairobi where he spent a night on the benches without his passport, was one of the major talking points of Klaus-Dieter Pagels’ failed mission with the senior national team.